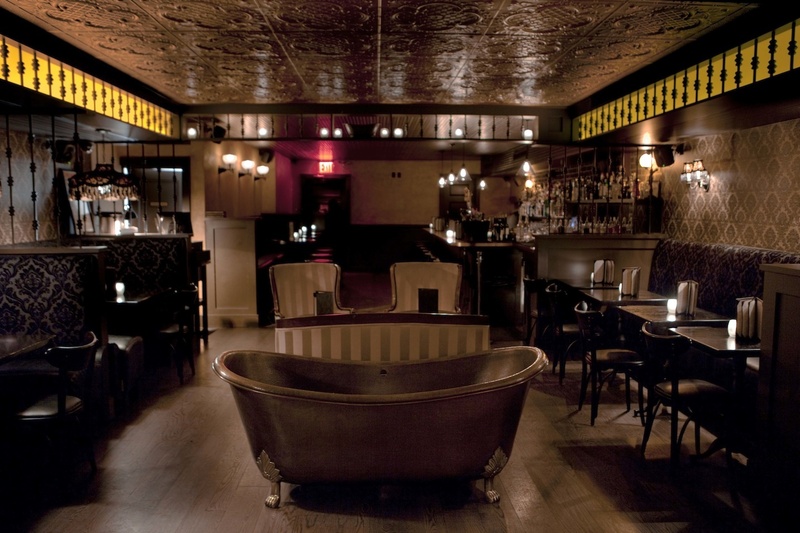 The first time I was introduced to Bathtub Gin, a favorite haunt in New York City, was 3 years ago — although since then I’ve taken many people back to this hidden fun spot. 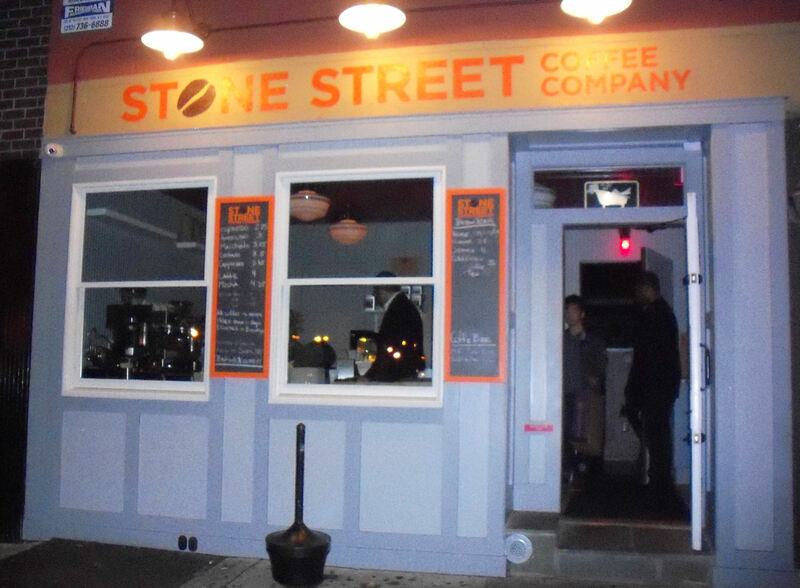 Back in 2010, a group of us had finished a work-sponsored dinner and were enjoying the warm yet breezy August evening while walking back to our hotel in the heart of Chelsea when the husband of a co-worker excitedly told us we needed to stop for a drink at a special place. But when he paused in front of a tiny, unassuming coffee shop and said with a huge smile, “Here we are!” we thought he had lost his mind — or was playing a practical joke. His smile turned smug as he told us to follow him in and we marched through the shop to a wall where a red light hung above and where a large man dressed all in black was standing with arms crossed. When the man grunted “password?” and our guide answered “Bathtub Gin,” the man turned very friendly as he swung open the wall/hidden door and told us to have a great time. Passing through the doorway was like stepping back into a distant time. The bar is reminiscent of a classy 1920s joint with a wooden floor, Damask wallpaper, richly upholstered seating, and a pressed tin ceiling. 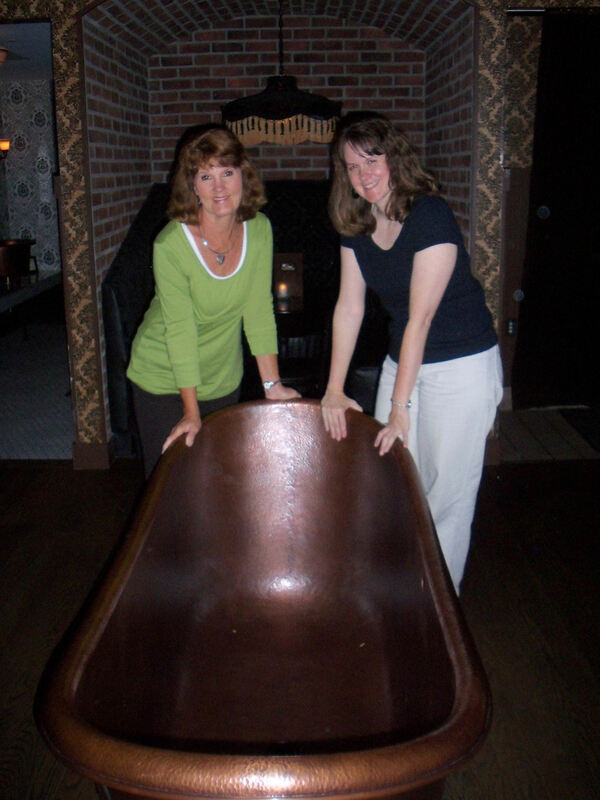 The open room also features a large copper tub, to represent the country’s history of mixing up ingredients for make-your-own gin in hidden away spaces during the time of prohibition. Keeping with this theme, high quality gin is the featured ingredient here in drinks with names such as “Sloe Gin Ginger Sling” and “Late Night Reviver. A small food menu includes tasty offerings such as fresh herb fries with a truffle aioli (had them, loved them), roasted pork tacos, and stuffed mushrooms with spinach, artichoke, and fontina. I haven’t tried the “Toast Your Own Smores” dessert option yet, but it’s on my list for the next trip! There is no exterior sign advertising the name of the club. But those who have been prepped ahead of time know to look for a small decal showing the club’s logo of a lady in a bathtub posted above the front door. Since my first visit, I’ve enjoyed introducing several others to Bathtub Gin and love seeing their look of bewilderment as we stop at the front side of the actual working coffee shop and then their delight upon the first view of this fun, although sometimes loud, hidden hideaway. I’ve since learned that there are several other “hidden speakeasies” in New York, including one that is in the back of a working barbershop and another that is behind a telephone booth. But my heart still belongs to the first one I ever saw. Being beautiful with a sense of humor — not to mention a great menu — puts it at the top of my must-sees every time I come to town. Have you ever explored a hidden speakeasy in NYC or other city? Write and tell me about your favorite one. I’d love to check out more. 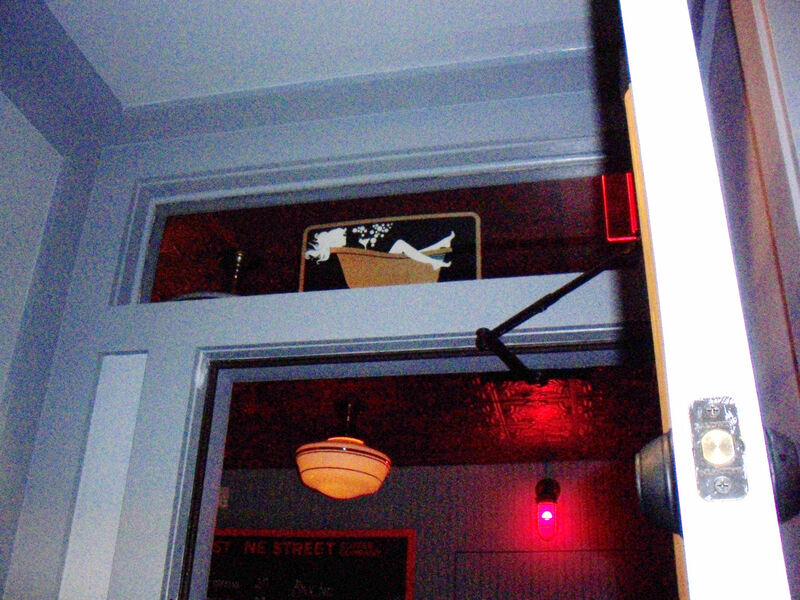 Note: Bathtub Gin is located at 132 9th Avenue (between 18th and 19th streets). I’ve never been asked the password since my first visit. I’ve also never had a problem getting in but I hear lines can get long late and on weekends. The hidden bars in NYC are so fun.You could be standing in front of the most popular spot and have no idea! That’s true! It’s so fun to stumble upon these things. Can’t wait to try out more! How fun! I just wrote about a “hidden” restaurant we recently tried in NYC! 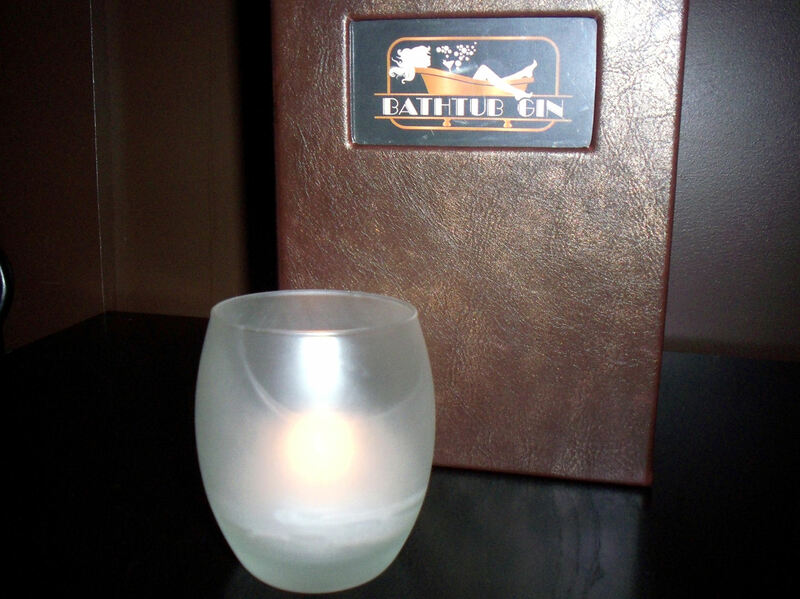 I’m adding the Bathtub Gin to my list of places to try the next time we are in town! Wow Meg, I’d love to read about the hidden restaurant you discovered. How cool!